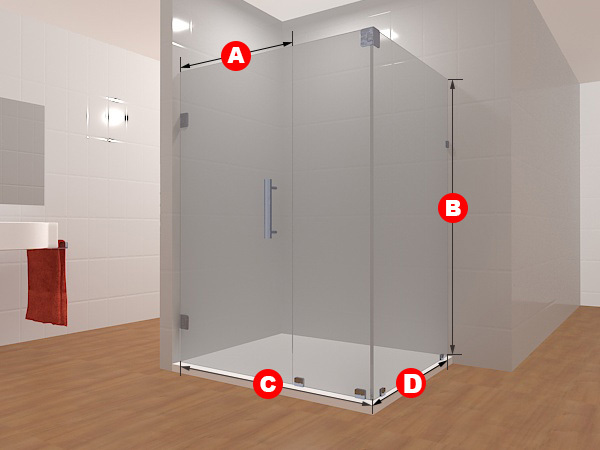 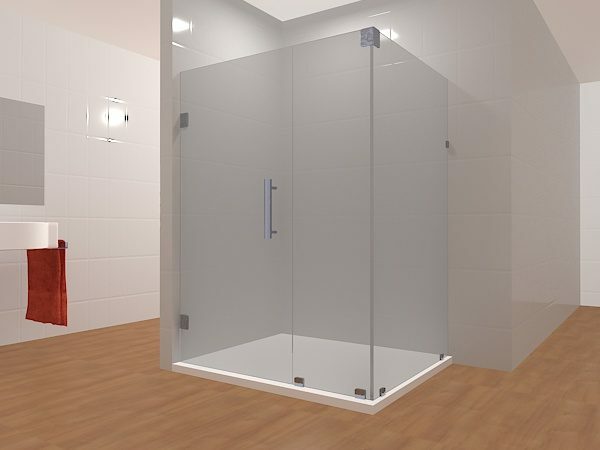 As with other products in the 90 Degree Frameless Glass Shower line, this multi-panel door is for customers who want to cover their entire shower area and decorate both sides with a functional, strong, long-lasting product. 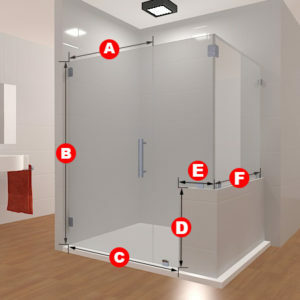 The gleaming handle of the door is on the right and the hinges are on the left. 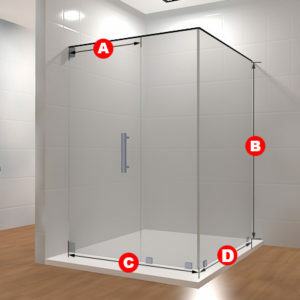 It comes in either frosted or clear glass and this door will fit your bathroom needs. 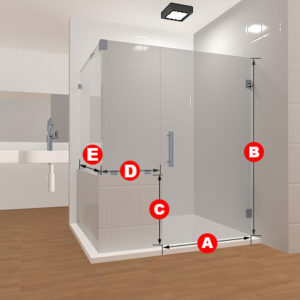 Included in this package are three glass panels, two glass to wall hinges, one glass to glass clamp, four glass to floor clamps, one glass to wall clamp and a handle.